I’m performing! This Saturday during Women of the World National Poetry Slam! Hi there fans and fellow lovers of spoken word! 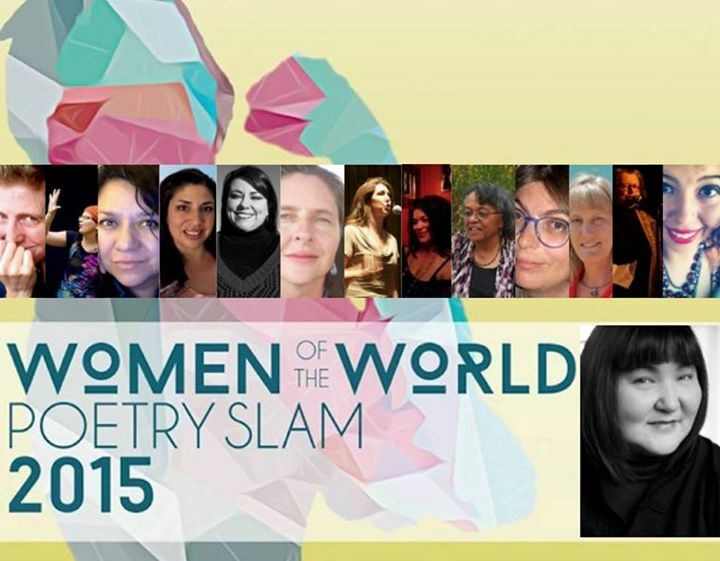 Albuquerque is hosting the annual NATIONAL Women of the World (WOW) Poetry Slam this week, Wednesday through Saturday! On Saturday March 21st from 12:00 – 2:00 p.m. at the Main Library (501 Copper Ave NW) I’ll be joining TWELVE other female poets to showcase the best of our local poetry and slam talent. Please come out to this free show, and spread the word. Learn more about WOW online, buy a ticket to the final championship even ton Saturday night, and learn more about the show on Facebook. See you at WOW! 4th place in Albuquerque WOW slam championship! It was a great show last Friday — all the seasoned pros and newbies alike brought their best game, had fun, and supported each other loudly and generously! I made it to the third round and came in 4th place overall, and also got some enthusiastic responses from audience members and helpful feedback from coaches. Thanks to everyone who came out (and to those who cheered from a distance!) and felicidades to the winner, the consistently amazing Jessica Helen Lopez who will rep ‘Burque at the national WOW slam in Austin next March! Click here to see some photos of the event! Hi! I hope Thanksgiving was a bounteous and restful time for you and yours! There’s one more slam between now and Friday, but chances are pretty good I’ll be in the lineup this Friday to compete with 9 other women to represent Albuquerque at the international level in March! Come out this Friday, 7:30 p.m., Outpost Theater in Albuquerque! Click here for more information and tickets!